Please come and join your club for the 2018 Year End Function at Leeuwenboschfontein. After evaluating different venues, the committee has decided on Leeuwenboschfontein for the 2018 Year End Function. This venue is about two hours’ drive from Cape Town and we wish to get as many members possible to attend and celebrate another successful year of our club. As in the past, this event will be partially sponsored by the club. 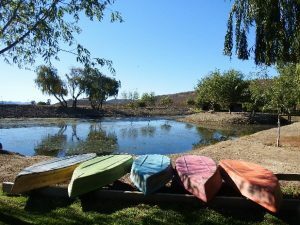 Leeuwenboschfontein is set in a valley that speaks to your senses, against the unique landscapes of succulents and Renosterbos, bordered by breath-taking mountains of the Klein Karoo. 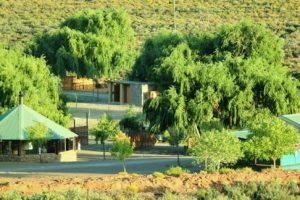 There is an attractive camp site and a variety of other accommodation available for those who don’t feel like pitching a tent. The owners have taken great care not to over commercialize the facilities, creating a welcoming farm style atmosphere. The extensive property offers a variety of activities. It is an ideal destination for hikers, campers, mountain bikers, 4×4 touring groups, stargazers, freshwater fishermen, birdwatchers and weekenders. 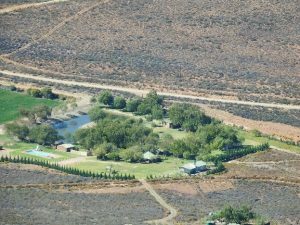 The camp site is situated under willow trees next to a dam. Each individual campsite is equipped with water, electricity and a light point as well as a work surface/table. Other facilities include hot water, cloakrooms, toilets, a bathroom with a bath and shower and a camping kitchen. Please visit the website for more information regarding other accommodation (please note that the prices on the website are outdated). 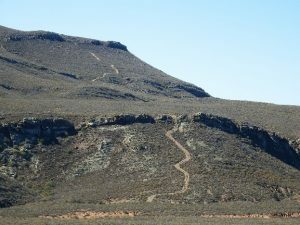 The 20 km mountain trail starts at the main house from where it winds through typical renosterveld, descending through some ditches and climbing over small inclines. This section is somewhat technical with some low-range climbing along a well maintained track and reaching the summit at 1,400 meter above sea level. At the highest part of the trail a special vantage point awaits you. Enjoy 360 Degree views from within this shelter, surrounded by the luxury of a built-in working surface for preparing a meal, sufficient seating and a cosy central fire place. From there the road descends down the mountain to complete the circular route. Two very steep declines await you on this section of the trail. The majority of the trail is a 3 rating, with some obstacles hovering around the 4 mark. The 4×4 trail has earned several accolades as well as being one of Go! Drive Out’s Top Ten Trails. • Friday evening: Communal Noggin braai. Braai drums and wood will be provided. Please be self-sufficient with food and drinks for Friday evening. 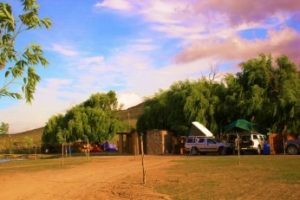 • Saturday: Relax at the campsite or drive the 4×4 trail. • 4×4 trail: Convoy to leave campsite at 9:30 to register and pay at the office. Leader to be appointed from the group. • Saturday evening: Dinner will be served at the Shed at 19:30. • Sunday: Relax at the campsite and pack up on your own time. 7. Drinks for Saturday evening: Club to provide 1 bottle of red wine, 1 bottle of white wine and juice per table. You are welcome to bring your own drinks as the venue does not provide drinks. 8. 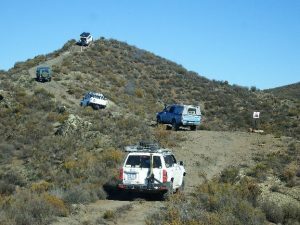 4×4 Trail: R120 to the viewpoint and down via the circular route. Please bring cash for this, payable with registration at the office. 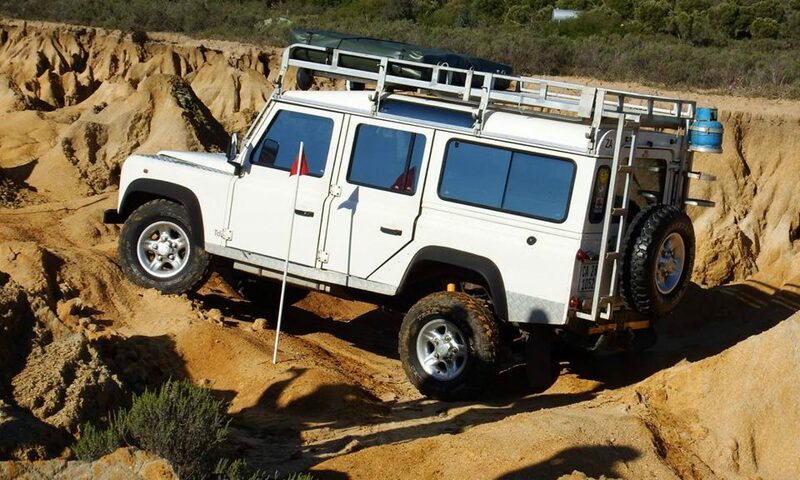 • In order to secure a spot, please RSVP to Elna Buitenhuis at office@4wd-wc.co.za by no later than Friday, 19 October 2018 and please pay R230 per person (when you RSVP) into the club account with “YEF18”, your Name and Surname by no later than 19 October 2018. The earlier members book and pay, the easier it will be to finalize formalities with the venue owners. • Please note that your name will only be placed on the “confirmed members” list after your non-refundable payment has been received. • Are children and friends welcome? Yes, most welcome, but the club contribution extends to members (main and spouse) only. Guests will also have to pay the total cost plus a guest fee of R50 per person. • When do we have to confirm? Please book and pay as soon as possible, please we need numbers to make this a huge club Year End Function. This is definitely a highlight on the Four Wheel Drive Club Calendar. We hope to see many Club Members at this function.